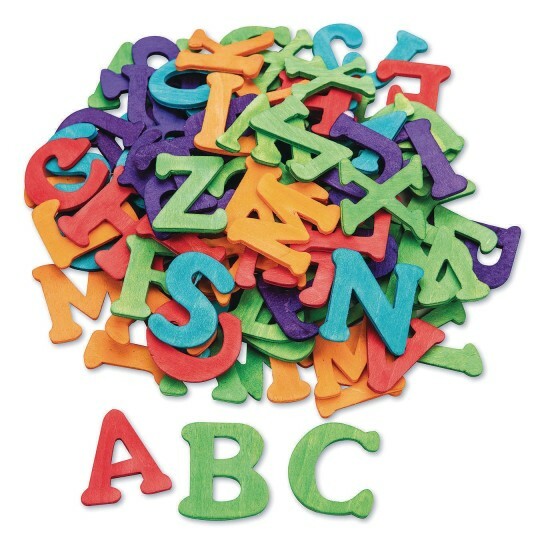 Great for craft projects or language activities! Wood Capital Letters in bright assorted colors. 104 pieces total - 4 each of every letter. Letters are 1-1/2” tall.